Something is happening to pizza. Lately, all I can find are pies with flabby, uncooked centers and swollen crusts that have all the textural charm of cardboard. The kind of pie I like—one with a fully baked, thin but supportive crust—hardly gets any respect anymore. Why is this? One man doing the thin crust justice is Jeff Varasano. 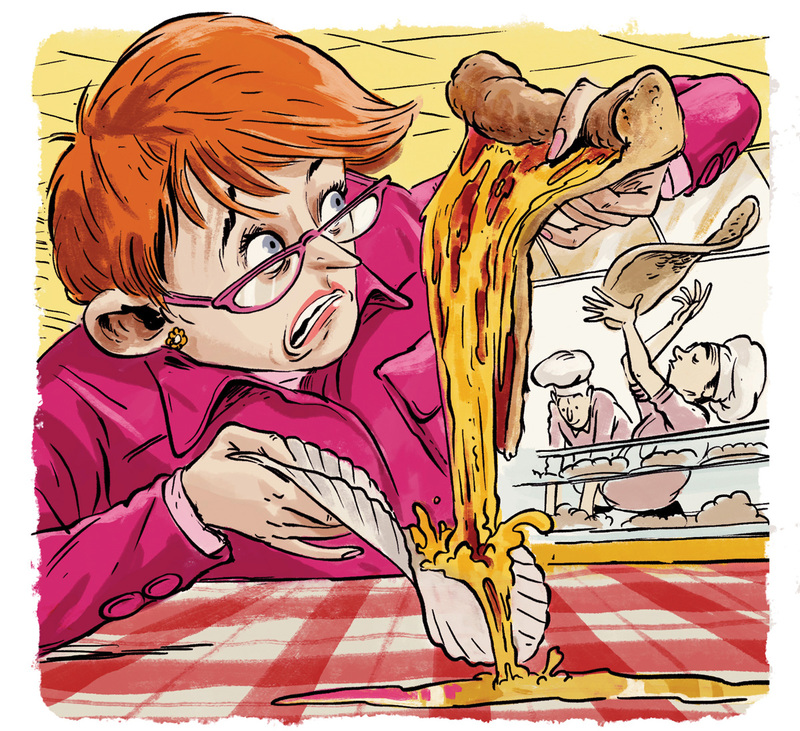 The pie dough at his eponymous pizzeria, Varasano’s, in south Buckhead, is uniformly cooked with just a bit of char on the edges, and its toppings, trapped in an enamel of cheese, stand their ground. No soupy mozzarella. No soggy center. Anthony Spina’s beautifully thin square-shaped grandma pie at O4W Pizza has my devotion, but—like many fans of the original Old Fourth Ward spot—I am a bit bummed by the restaurant’s relocation to downtown Duluth. We shouldn’t have to travel more than 20 miles for a good slice. To the rest of our pizza makers: If you call yours “thin-crust,” then it should have a thin crust. Anything else belongs in the garbage bin. I simply have no idea how to pronounce this Breton word! The Celtic language was spoken solely along the rocky coast of Brittany, and it’s closer to Welsh than to French. The first time I tasted one of these . . . things . . . was just a few years ago in Manhattan at Dominique Ansel’s eponymous bakery. I jumped his famous Cronut line to get to the kouign amann. People thought I was crazy. I was. 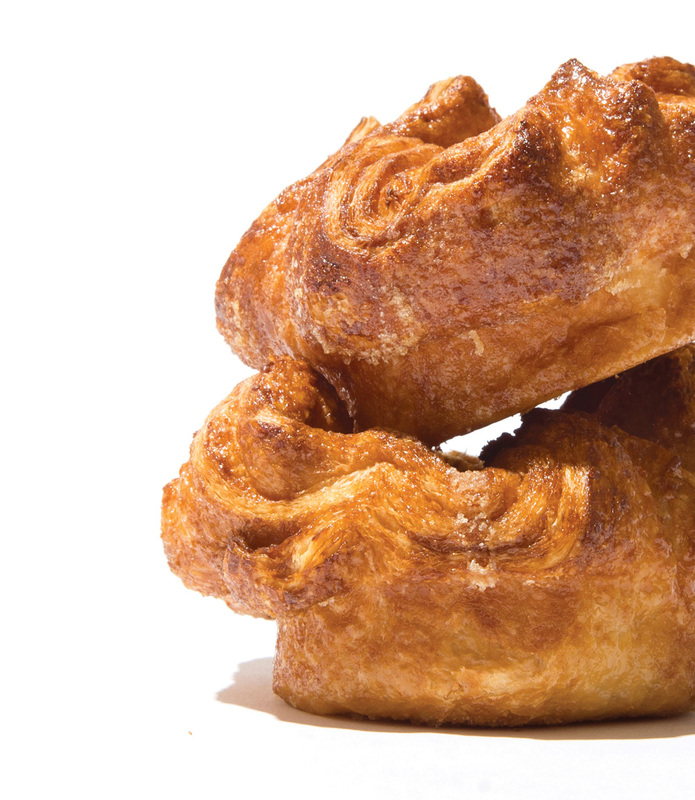 However you pronounce it, a kouign amann resembles a muffin gone wild. Like a croissant, it’s made of yeasted dough folded multiple times over good butter. Unlike a croissant, it is made with salted butter and contains sugar both between its inner layers and caramelized around its exterior. It’s maddeningly delicious. The Little Tart Bakeshop in Grant Park bakes what I consider the best in town. It has a beautiful burnished hue, its dough is dense, and little puddles of sugary melted butter splash under tooth. Order it out loud if you dare.